Co-ordinated by the Bureau of Meteorology (BOM), a national Flash Flood Advisory Resource (FLARE) has been created to assist local councils, state government agencies, and emergency services to design, implement and manage fit-for-purpose flash flood warning systems. Serving as a repository of information rather than an operational service, FLARE is a registered-user website, and telephone and email advisory service. 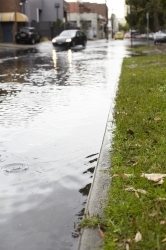 It enables easy access to standards, guidelines, case studies, and other useful information to identify appropriate solutions for flash flood management. Funding for FLARE was provided by the Attorney General’s National Emergency Management Projects program and Disaster Resilient Australia package, and its creation was recommended by the Standardisation of Bureau of Meteorology Hazards Services Taskforce. For more information and to register for FLARE, please visit the Bureau of Meteorology’s website.